Any cable associated with power supply with wire gauge from 18AWG to 22AWG. Customized your cables with the exact length required. 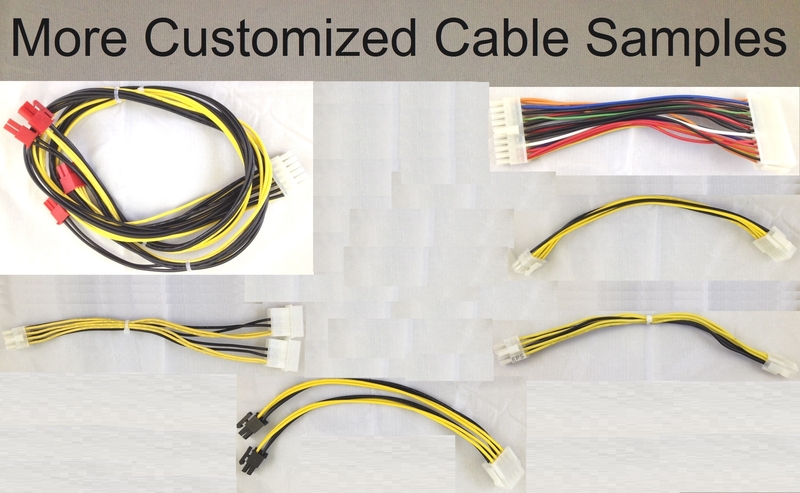 We can also customize, with an extra fee, any of the Seasonic Modular Cables that we sell. Eamil us your requirement, quantity, and even drawing, our profesional sales will reply with competitive quotation and lead time. Please send your request to Sales@btosinte.com.